HARK Celebrates Kids on Cinco De Mayo at Upper West Restaurant! 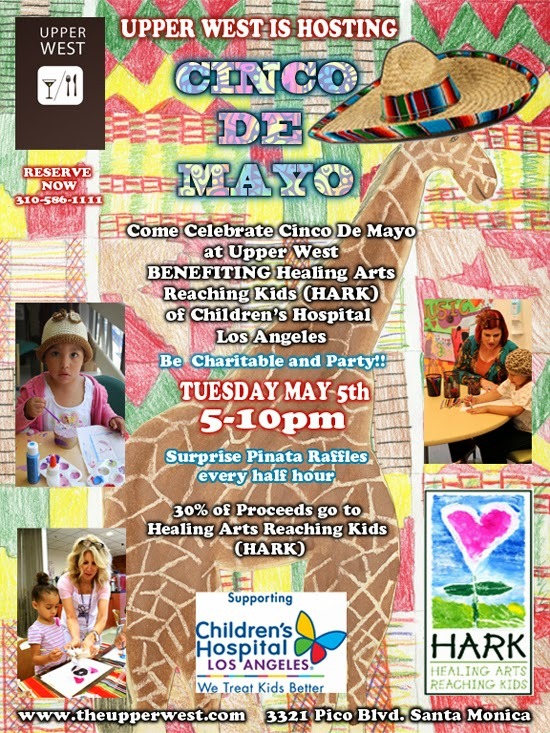 Join HARK (Healing Arts Reaching Kids) and Upper West for a Cinco de Mayo benefit (Tuesday May 5th) open to the public. The charity event will allow diners to enjoy a fabulous dinner while giving 30% back to an incredible nonprofit. Yes...Upper West Restaurant in Santa Monica has graciously agreed to donate 30% to HARK during this event from 5-10pm. 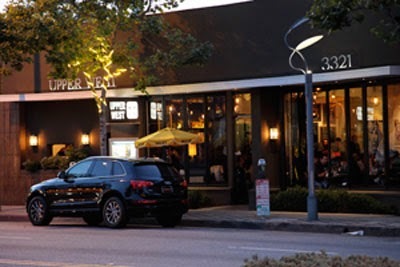 Upper West is a popular Santa Monica restaurant serving internationally inspired dishes like ahi tuna tacos and chimi churri sweet potato fries. The public can order as little or as much as fits their appetites and budgets…all the while helping a great cause. Prizes such as gift certificates to local stores/restaurants will be raffled, etc. Danny Hutton founder and lead singer of Three Dog Night will be in attendance. HARK is an affiliate support group of Children’s Hospital Los Angeles, where Laurie Hutton President of HARK is a volunteer. She teaches workshops and has witnessed healing moment first hand. 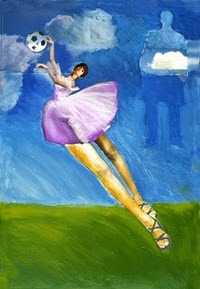 "Patients loose track of time while painting and listening to music. I was told by a patient that it was very therapeutic, and relaxing," said Hutton. “Minor Identity Crisis" Featuring Gus Harper Set to Open at Essentia Saturday, April 18th! 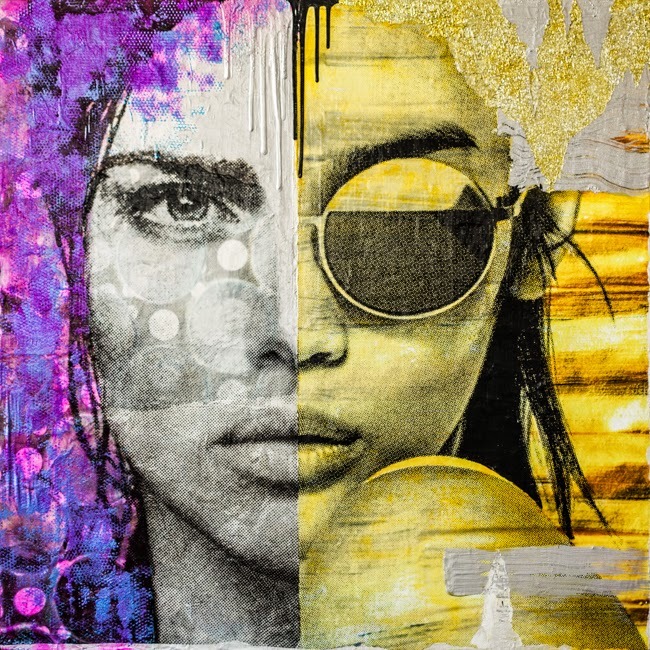 Saturday, April 18th enjoy an opening reception for “Minor Identity Crisis,” at Essentia in Santa Monica. 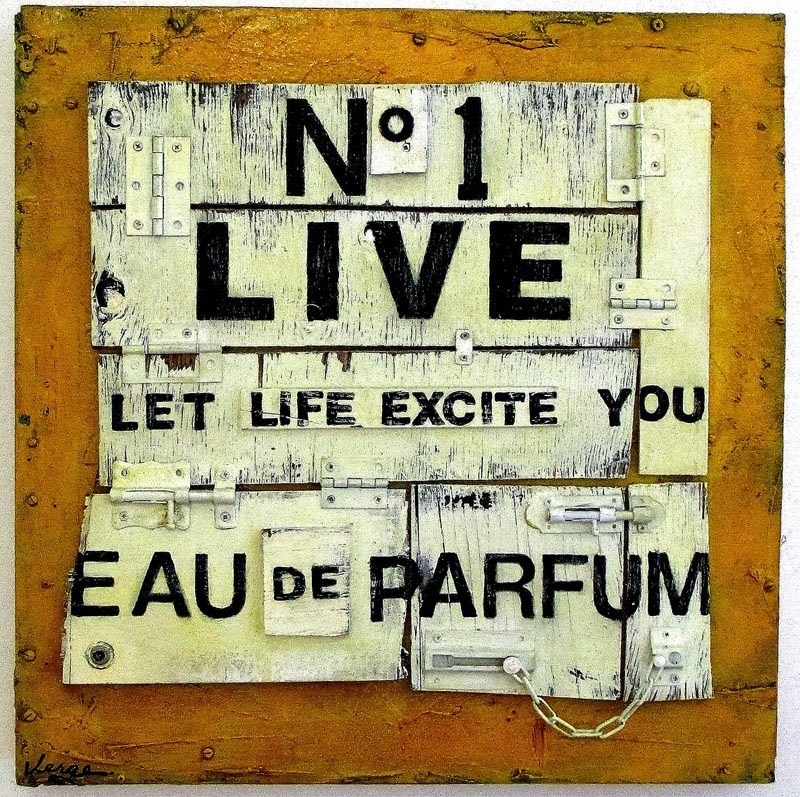 The solo exhibition featuring the work of Gus Harper will feature some twenty works along with an installation. 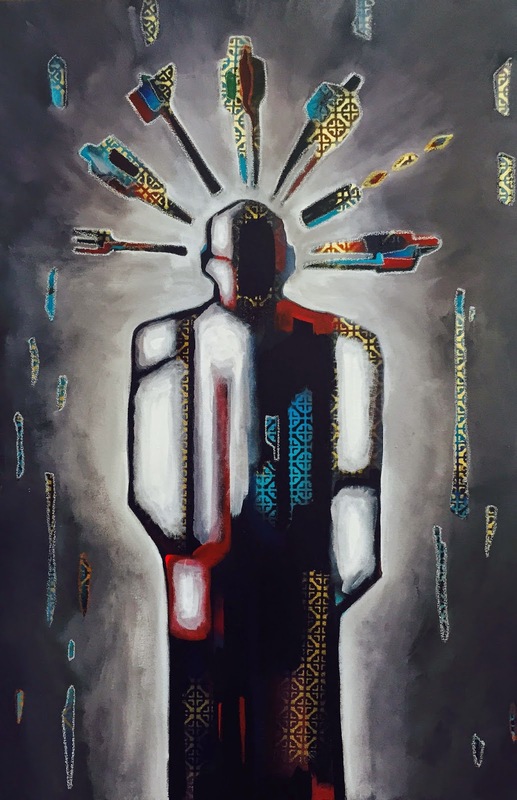 Gus Harper - Minor identity Crisis VII, 66" x 55"
Harper explained that the exhibit is made up of very colorful paintings (and an installation) that are heavy on symbolism. “A lot of the pieces are about overcoming fear, said Harper. 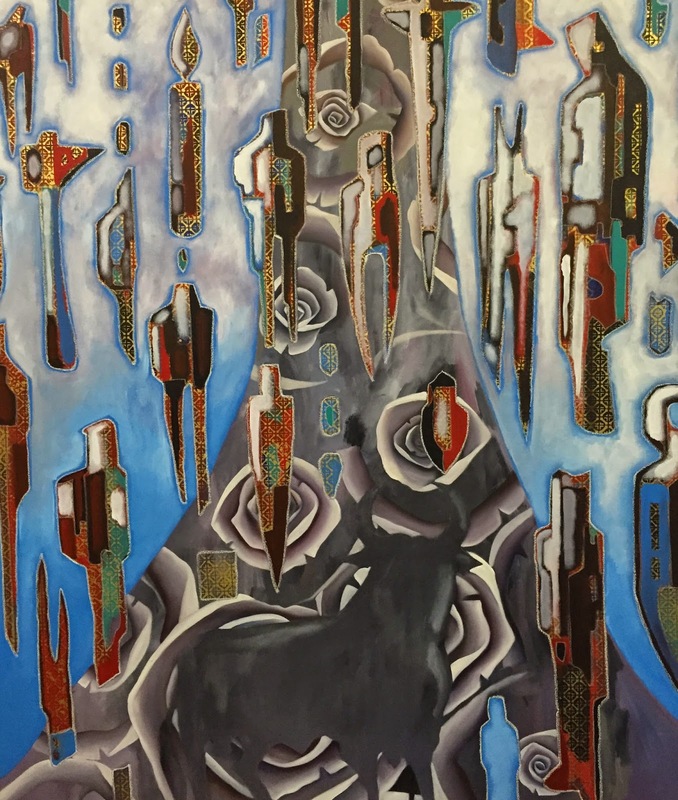 “There are usually components that symbolize the viewer of the piece, fear, and tools to overcome fear. It's pretty open to interpretation. I'm interested in the way that humanity creates and meets fear. Harper enjoys collaborating with other artists. “I started collaborating with Gronk about 2 years ago. I usually have a few collaborative pieces in every show. In the last show I had two pieces I made with my mom Fielden Harper (a professional artist as well). The artist has more shows coming up in the Fall. The first is an exhibition of his suspended pillars at LocziDesign in San Francisco in September and the 2nd will feature his recent paintings in Mexico City. Om Bleicher said he was very excited by this year’s theme. 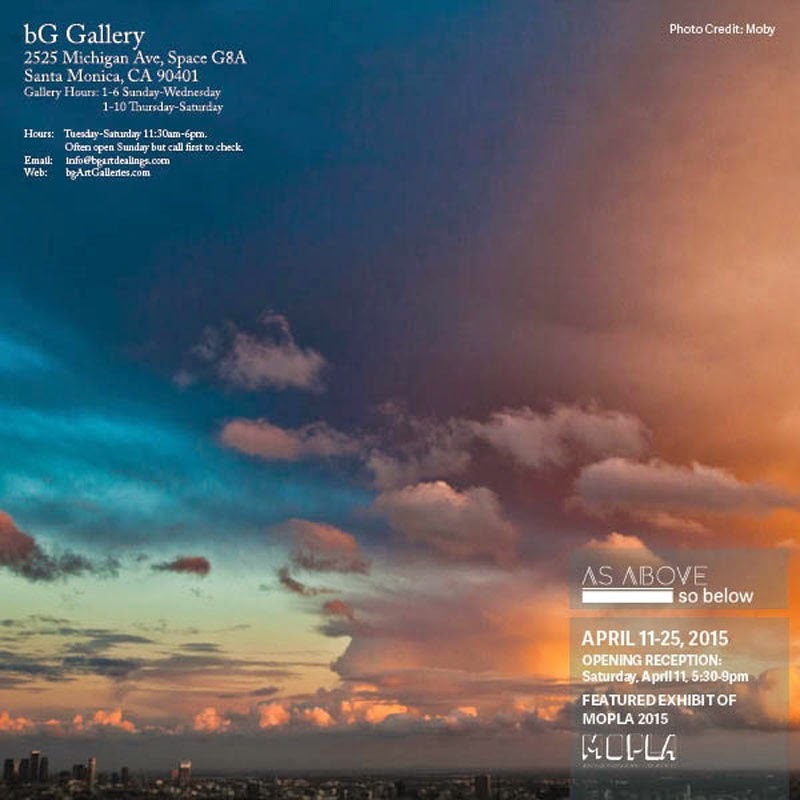 ”’As Above, So Below’ is a group show that celebrates the artists visual enquiry of the micro and macrocosms.” Although the gallery has only started showing photography for the past couple of years, it has proved to be an important focus for the gallery. 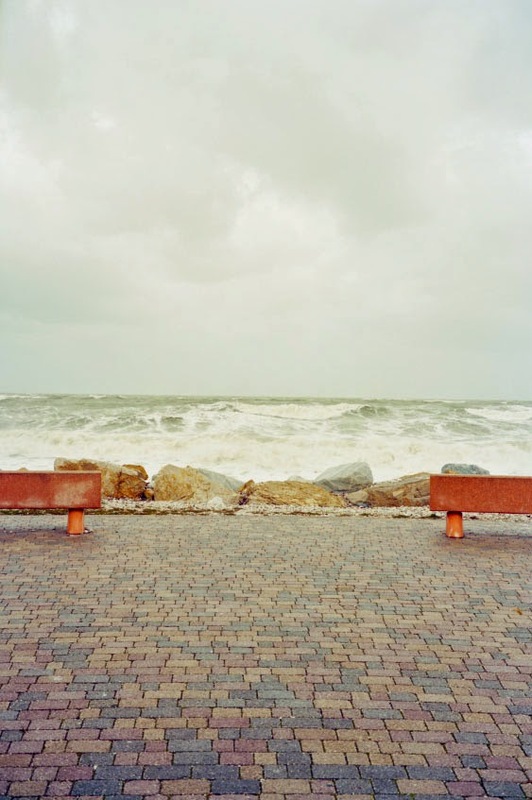 Bleicher has invited photographer Scott Tansey to once again show at bG Gallery. Two photos were chosen, both featuring iconic images and both taken on the same trip. 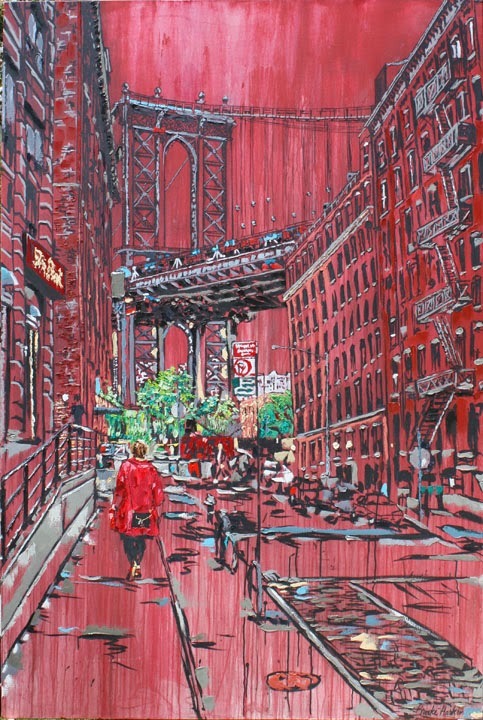 Photographer Patrick Nagatani and painter, Andree Tracey have worked together since the 1980s and will have work in the show. Nagatani and Tracey captured intensely colored elaborately constructed tableaux in order to blur the distinction between nuclear family and nuclear disaster. Bleicher has gathered a talented group of photographers to be included in this year’s show, such as Berenice Abbott, Diane Arbus, Patrick Nagatani, Moby, Nick Veasey, Theresa Flowers, Dan Busta, Ryan Schude, Marco Gualtieri, Scott Tansey, Leonard Monje, Tatiana Botton, Gwen Adler, Susie Loucks, etc.